Regular or Electric Toothbrush - Which Kind for Christmas Stockings? Regular or Electric Toothbrush – Which Kind for Christmas Stockings? Should I stuff stockings with a regular or electric toothbrush? What should we use? Dr. Jackson – Lots of health-conscious people like to give toothbrushes, teeth whitening kits, and even cosmetic procedures for Christmas and holiday gifts. When it comes to knowing whether to stuff your Christmas stockings with a regular or electric toothbrush, I’m a big fan of an electric toothbrush. 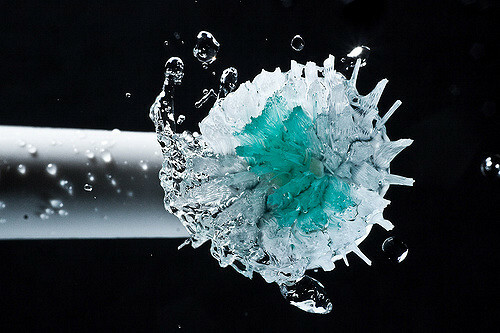 Research shows that using an electric toothbrush can allow you to have 30% more plaque removed from your teeth. This is the case regardless of doing anything else. Another thing that is a great feature of electric toothbrushes is that most of them have a timer incorporated. This helps you to know that you’re brushing for the recommended two minutes. Most people, if they are using a manual toothbrush, will think that they’re brushing for about two minutes. Actually, they only brush somewhere between 20 and 30 seconds. I am a big fan of the Oral B Genius toothbrush, which we sell here in the office. We do sell it at a discounted rate because we want to make sure that it’s affordable to our patients. It has a couple of features that make it more beneficial. It has a smaller brush head, which means that reaching especially the back teeth becomes a little bit easier and it makes it more effective. As long as you are using a toothbrush and allowing the electric toothbrush to do its job, you will see great benefits in the cleanliness of your teeth between dental visits. Dental cleanings, professional dental cleanings, as well as your hygienist will be able to notice a big difference in what you’re doing at home to keep your mouth nice and clean. It’s a great toothbrush for giving as a gift for the holidays. Now, with an electric toothbrush, are you actually supposed to brush while the toothbrush is working or just kind of hold it on your teeth and move it around a little bit? If you are using a toothbrush that is an electric toothbrush, you should be letting the toothbrush do its job. Meaning you should not be actively trying to brush while using an electric toothbrush.